It’s time to stop using cardboard boxes when moving. When you think of moving, what comes to mind? A lot of hard work? Loads of cardboard boxes? Typically, when people think of moving, nothing positive comes to mind until after the move occurs. But, if you hired movers, your entire outlook would change. In fact, we suspect you’d wonder why you haven’t hired professional movers in the past. Professional movers are surprisingly affordable and a huge help when moving into a new home. Still, many moving companies are plagued with one not-so-convenient supply: cardboard boxes. Oftentimes, professional moving services will require clients to use (and sometimes provide their own) moving supplies like cardboard boxes and tape. That’s just inefficient and wasteful. 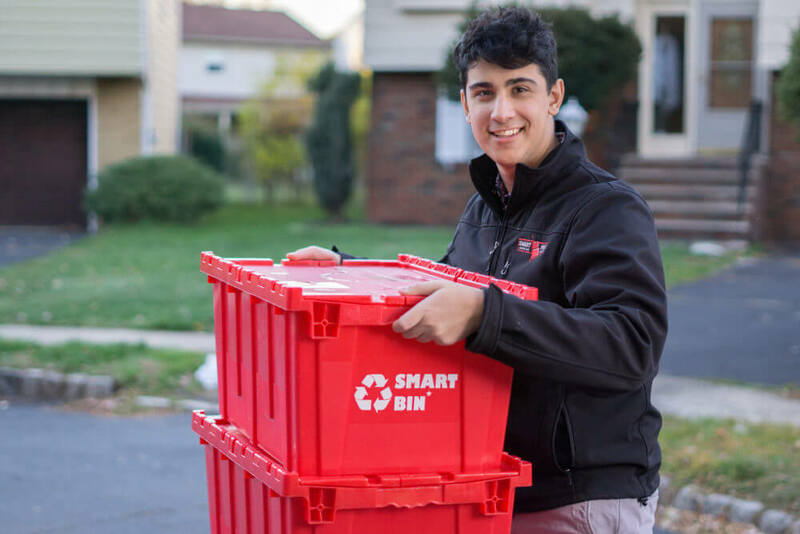 It’s why we use Smart Moving Bins, which are our reusable plastic moving boxes. They’re a huge asset to our team because they make moving so much easier (yes, easier!) for our clients and professional packers and movers. Here are four reasons why plastic reusable moving boxes are so much better than cardboard boxes. Unlike when you move with cardboard boxes, you won’t have to worry about moving on a rainy day with plastic moving bins. They’re water resistant and close tightly. You also don’t need to worry about buying additional moving supplies. These reusable moving boxes require no additional building and tape is not required. Because our plastic moving boxes can be reused 100s of times, our company and our customers produce far less waste than traditional movers and moving methods. Using our Smart Price Moving Bins are far more sustainable, especially when most cardboard boxes don’t end up in the recycling bin either. When you move with us, you will automatically enjoy the benefits of our reusable plastic boxes. Check out our local moving company services then get a moving quote. We are ready to service all types of movers and have rave reviews. Bonus: You can Rent our Plastic Reusable Moving Boxes, too. We Deliver! Renting reusable plastic moving boxes is easier and cheaper than buying traditional supplies. 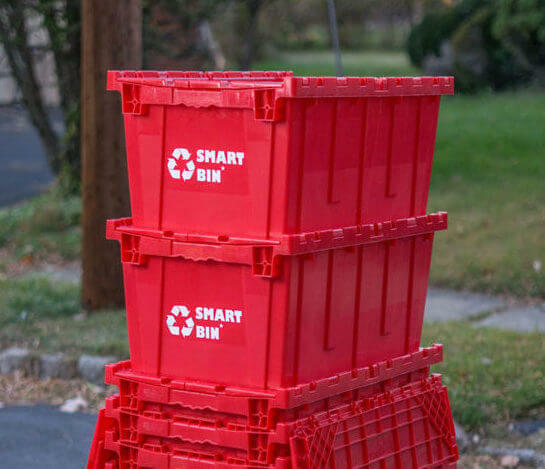 Check our Smart Price Moving Bins rental packages. No hidden fees ever from us! Learn more about our professional moving services here. I do agree with the fact that we should use plastic boxes instead of cardboard boxes for eco-friendly moving. Plastic boxes produces far less amount of waste as compared to the traditional boxes. Moving procedure is really stress full and we should hire movers in order to make it stress free. However, before hiring professional movers, we should do some research on the internet regarding them. Before hiring them, we could also ask them to provide plastic boxes for moving purposes. Thank your for sharing such an important and useful post with us.